Out of all the different types of phobia, agoraphobia has perhaps one of the best stories out of all of them. For many years, agoraphobia was thought of as something very different from what its actual nature is. Agoraphobia means 'fear of the market place,' and was considered to be a specific situational phobia of going in public. 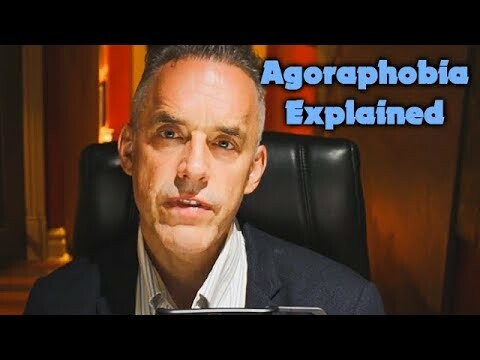 However, we now know that the condition known as agoraphobia is not a specific phobia or a social anxiety phobia, but something altogether different. Agoraphobics do characteristically avoid public places, but they do not simply have an irrational fear of public. Instead, agoraphobia is based on a fear of having a phobic reaction or panic attack in public. In fact, it is this fear of having a panic attack in an uncontrolled environment that causes many agoraphobics to become housebound. Essentially the fear of having a panic attack is so great that people who begin having them frequently become hypersensitive to the precursors for an attack. These signs include things such as increased heart rate, rapid breathing, and sweaty palms. Because of the irrationality of these disorders, a slight increase in heart rate, even if it caused by such things as climbing stairs or drinking caffeine, will make an agoraphobic begin to worry that they may be having a panic attack. The thought of the panic attack is the trigger for agoraphobia, which causes them to have an actual panic attack. As the panic attacks become more and more frequent, a person with agoraphobia begins to worry also about the awkwardness of having an attack somewhere that they cannot escape from or will have to endure their panic attack in front of other people. This in turn leads to increased panic attacks in places they are concerned about, which eventually leads to agoraphobic people being hemmed in to certain areas and cause them to completely avoid many activities and places because of their fear of having a panic attack. Many agoraphobic people are afraid of leaving their home, while even more severe cases limit the person to only a few rooms in their house. Before agoraphobia was recognized as its own distinct disorder, treatments were somewhat hit and miss, but these days, it can be successfully treated. Treatment for agoraphobia is typically twofold. Anti anxiety medication is typically prescribed to suppress and control the panic attacks. When they are under control, the agoraphobia sufferer is taught how to deal with panic attacks when they come up, and they can slowly take on activities they normally would not have dreamed of previously. One step folks with agoraphobia may do to conquer their fear is to induce panic attack symptoms, such as increased heart rate, and focus on convincing themselves that it is normal and they are not having a panic attack. Fortunately for many people, agoraphobia can now be treated as its own unique phobia, which allows sufferers the peace of mind to leave their home without the constant fear that a panic attack will strike.